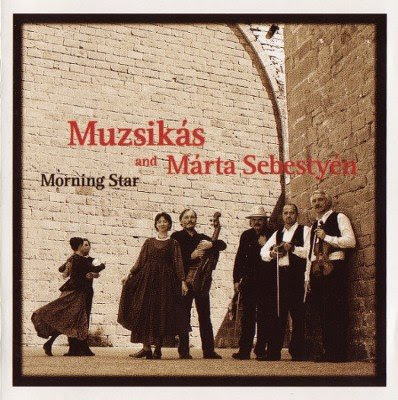 Márta Sebestyén (born August 19, 1957, Budapest) is a Hungarian folk vocalist. Sebestyén was educated at Miklós Radnóti Grammar School, Budapest. She has sung regularly and recorded with the Hungarian folk group Muzsikás. She is known for adaptations of Somogy and Erdély folk songs, some of which appear in Deep Forest's Bohème album, which received the Grammy Award for Best World Music Album in 1996. She has also adapted Hindi, Yiddish, Bulgarian, Slovak etc. folk songs to traditional Hungarian style. Sebestyén sang in the movie "The English Patient" (Szerelem, szerelem). Three songs recorded together with Muzsikás appeared in the Japanese animated movie "Only Yesterday". She also sang in and contributed material to the album Kaddish by Towering Inferno (Richard Wolfson and Andy Saunders, 1993). "Transylvanian instrumental music embodies centuries of aesthetic values. In our concerts, we have repeatedly had the experience that these melodies, reflecting essentially pure feelings and irresistible impetus are able to powerfully communicate to people, no matter where in the world they are from . On this album, we aimed to play and sing as our village masters did: all together, breathing as one, watching each other as we play, in order to express this music's inner life."